Previously, we advised that business gifts to customers comprising of food and drink were 100% tax deductible for income tax purposes. 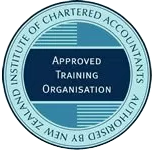 However, Inland Revenue have now changed their position on the classification of these items. As of 1st September 2016, gifts of food and drink are now classed as ‘entertainment expenses’ and are therefore only 50% deductible. − Employers to file PAYE information on a payday basis from 1st April 2019. − Employers using payroll software would be able to file information directly from their payroll system. − The threshold for electronic filing of PAYE information (as opposed to paper filing) to be lowered from $100,000 per year of PAYE and ESCT deductions to $50,000 per year. − The due dates for PAYE to remain the same, although employers would have the option to make these payments on payday. − Removal of the payroll subsidy, which subsidises employers to outsource their PAYE obligations to listed payroll intermediaries, from 1st April 2018. Please contact us if you have questions regarding this or other tax deductible items.